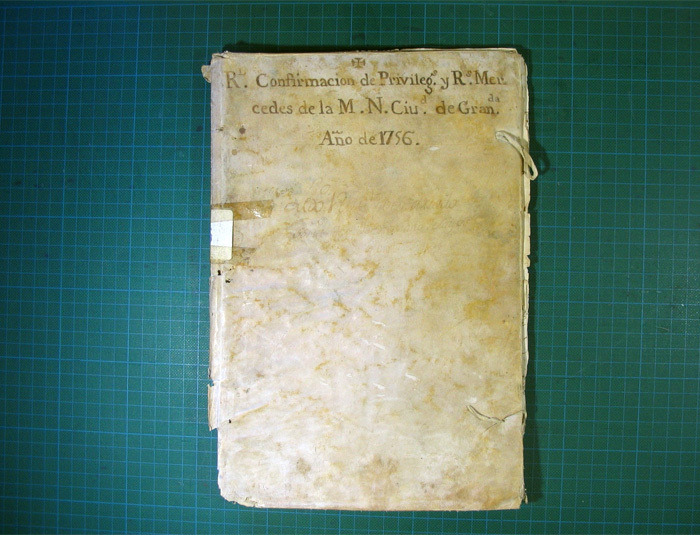 Owner: Municipal Archives of Grenade, Spain. 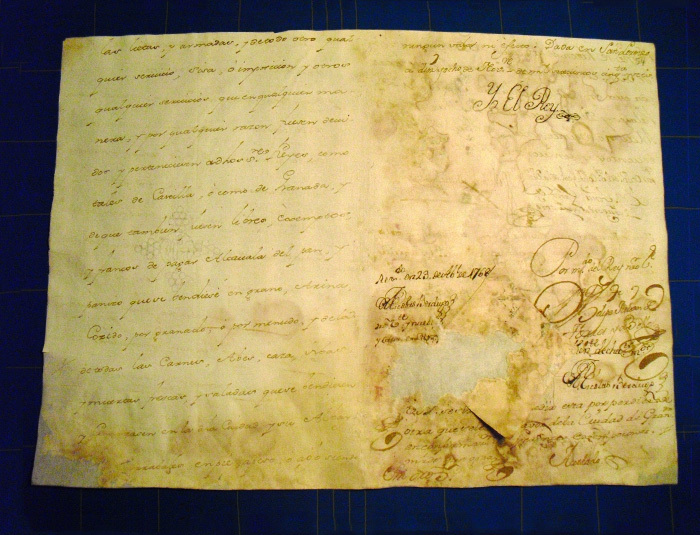 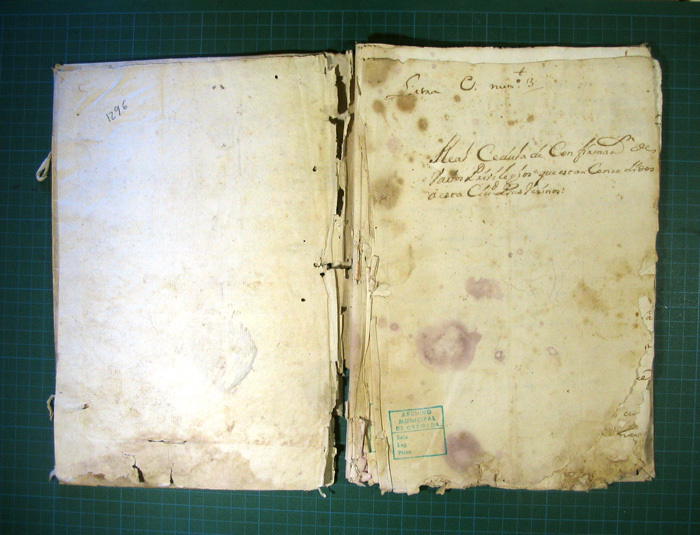 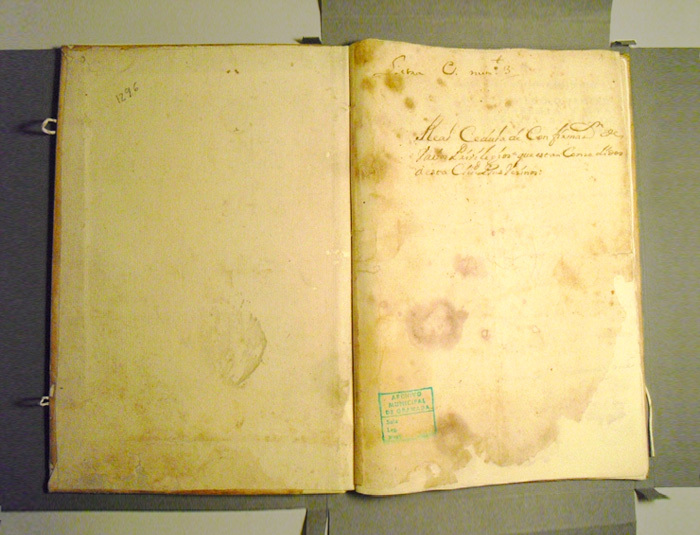 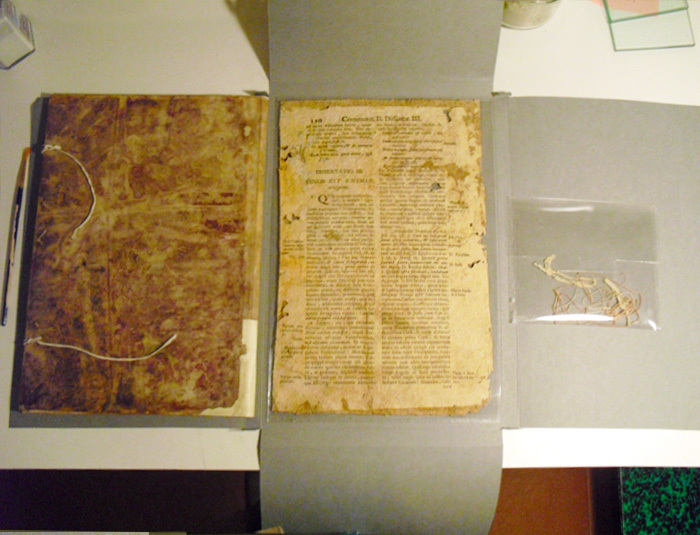 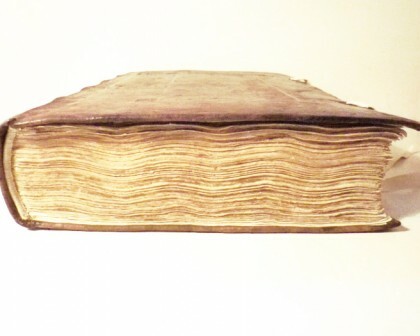 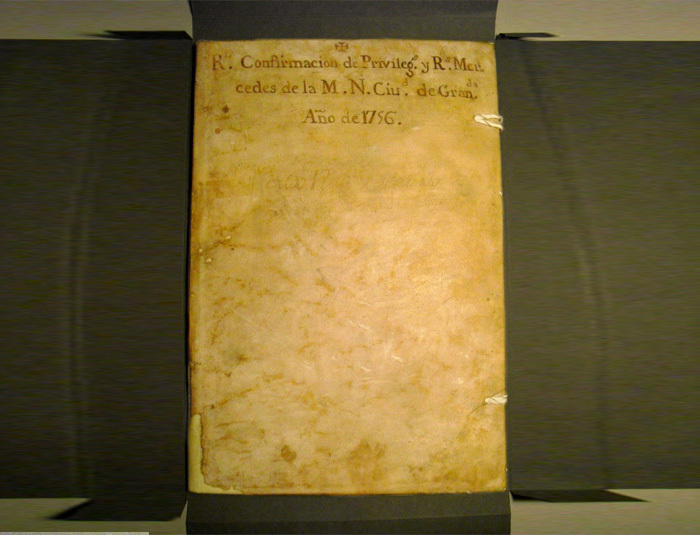 This in-cuarto is a semi-flexible binding of parchment with two clasps made of alum-tanned leather. 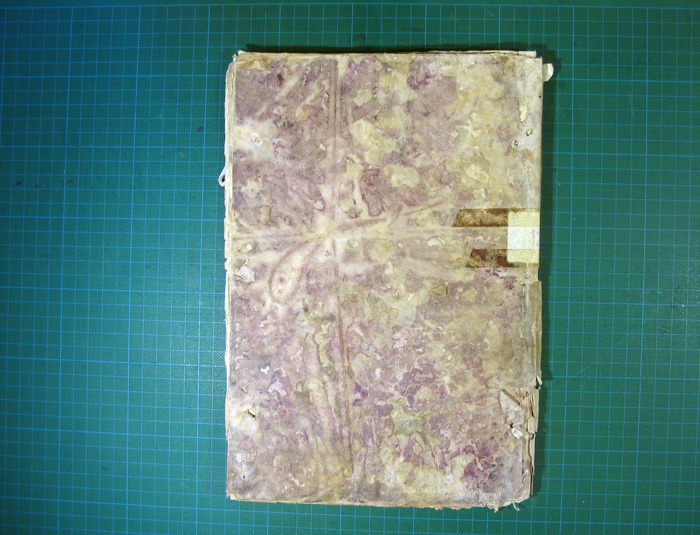 The body of the book is composed by thirty bifolios of handmade laid paper. 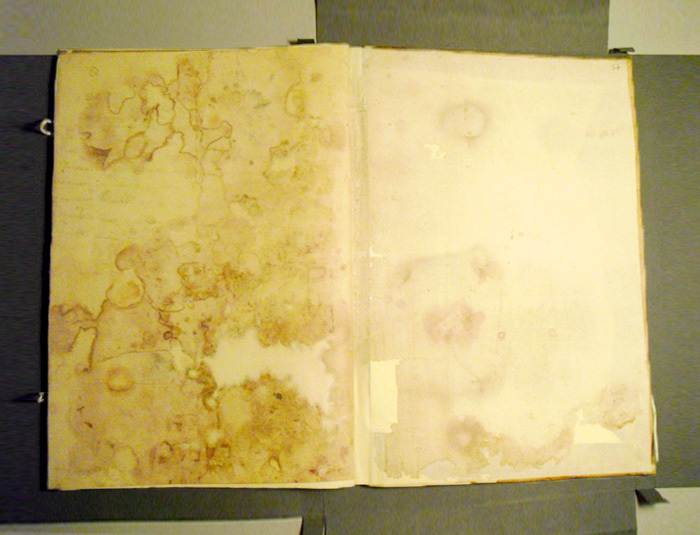 All elements are heavily damaged because of mold and therefore very fragile or incomplete. 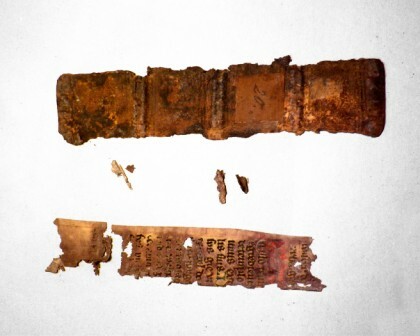 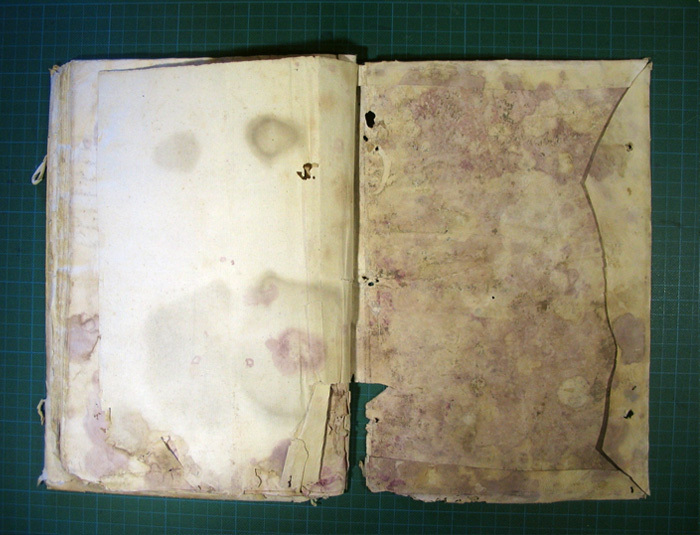 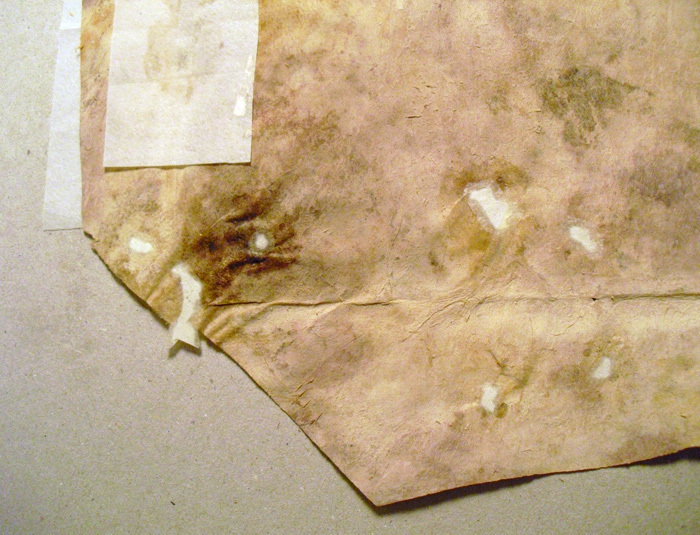 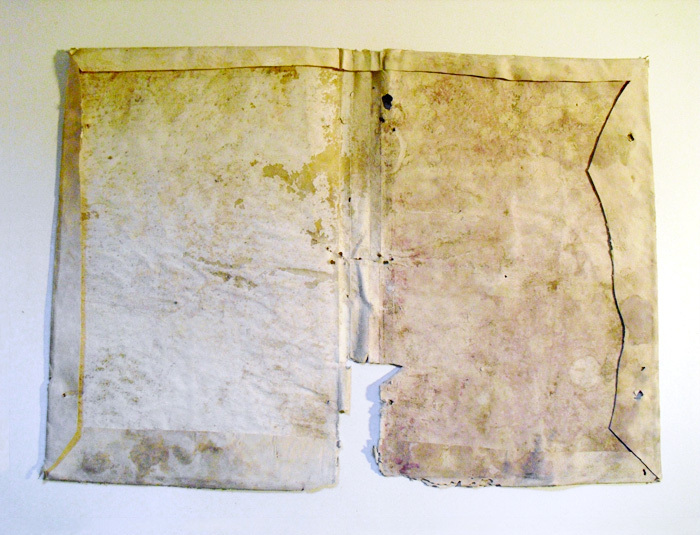 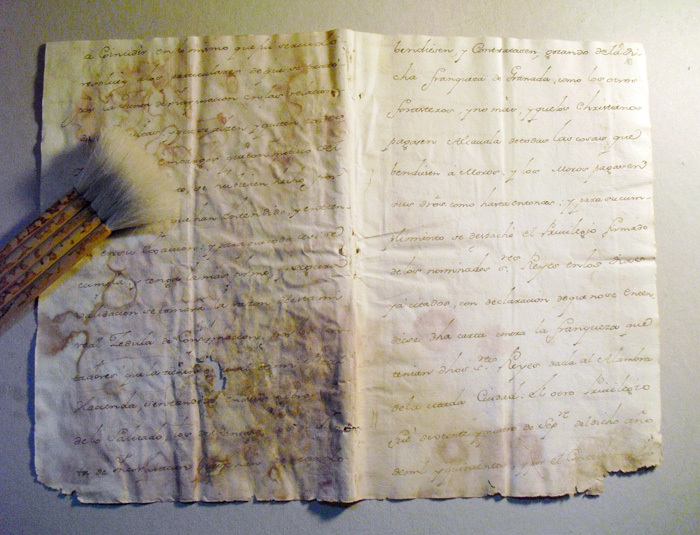 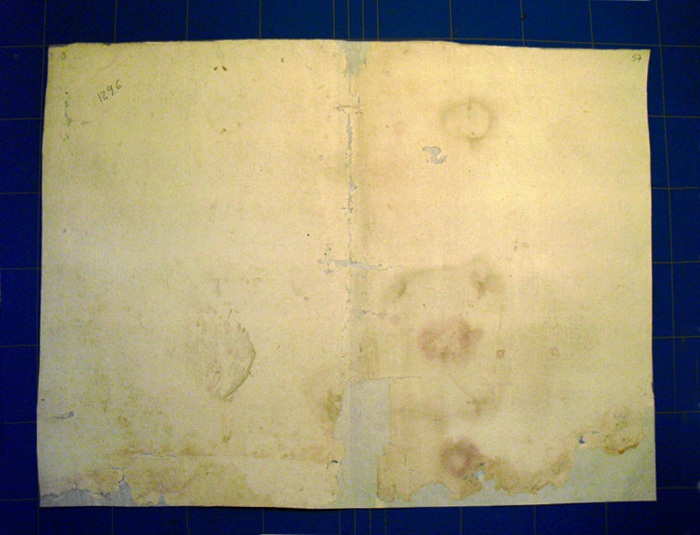 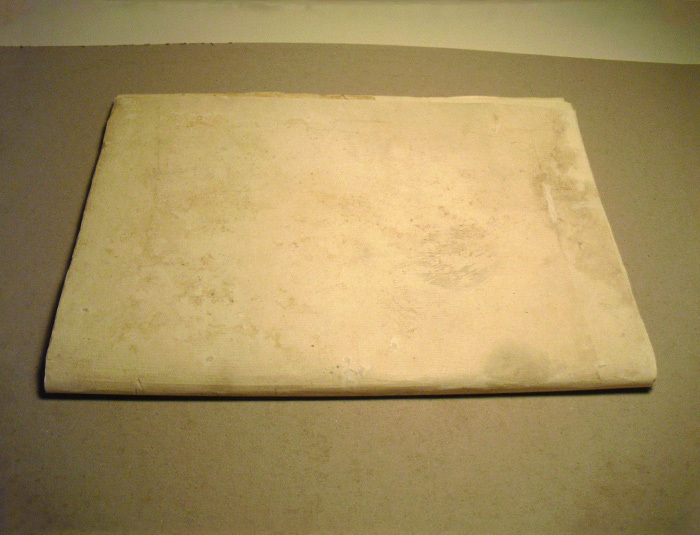 The artefact is disinfected, the paper is repaired and reinforced with Japanese tissue and the parchment with vellum of the same animal with a similar aspect. 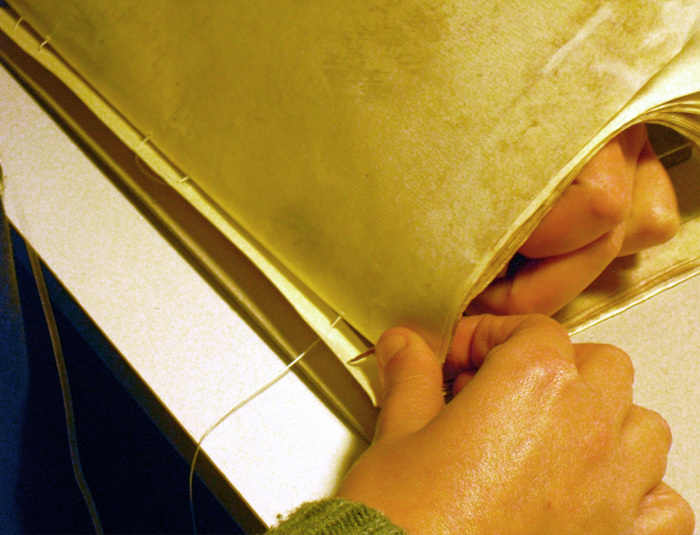 The binding structure and the sewing are then reconstitute as original.